Our Doctor utilizes several manual and light force techniques meant to optimize your body’s potential during chiropractic care. In most cases, a diversified hands-on technique is utilized in order to manipulate the spinal column and extremities. The overall goal is improved body mechanics and nervous system performance. Diversified adjusting can be either forceful or light, depending on the patient and situation. The doctor may also utilize Activator/Arthrostim adjusting techniques to obtain the same results. These two techniques involved the use of light-force “punch” tools that apply a quick and precise impulse to the area of treatment. The Doctor may also utilize soft tissue techniques such as ART, Graston, Trigger Point, and Massage. Contact our office in Alexandria to schedule your next chiropractic adjustment. This is the most common chiropractic treatment. It involves a quick adjustment of the spine or joints to improve movement, dysfunction or alignment. This technique does not include the typical quick movements and accompanying pops. 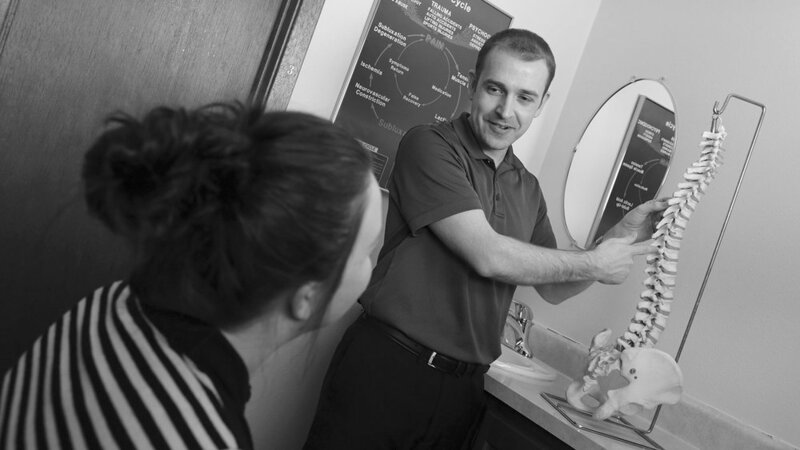 Light force chiropractic or the non-force technique involves the use of "punch" tools that apply a quick and precise impulse to the area of the treatment, which targets the disrupted nerves that have caused pain or misalignment. The goal is to improve body mechanics and nervous system performance. FACT is a chiropractic technique that addresses a person’s whole health by evaluating breathing patterns and movement to create a specified chiropractic treatment for each patient. The use of soft tissue techniques such as ART, Graston, Trigger Point, and Massage are all available for treatment.